Custom guitars are my specialty. When I use the term 'custom' I truly mean that anything is possible. You can not only choose your own woods and stain colorings but you can also design a totally new shape, style, or an entire new instrument concept. There are no limits to what is possible. 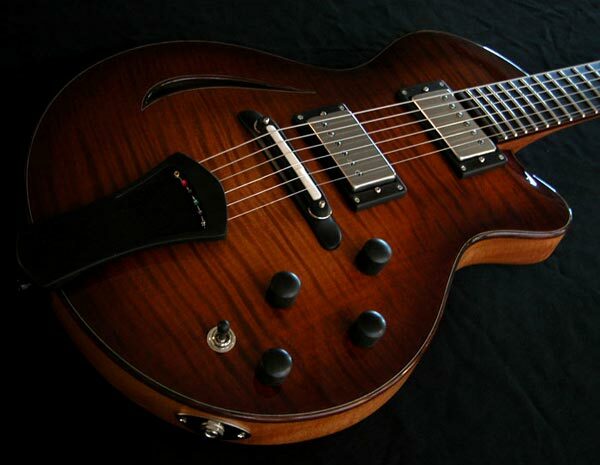 I enjoy the challenge and rewards of building truly custom instruments. Quite often the designs are soley the vision of my clients. Together we make these instruments come alive. Have a look around the gallery and you will see the endless variety that comes out of my shop. Each guitar is made using only the highest quality woods and components to ensure the best tone possible from the instrument. I individually match pieces of wood and tune each piece as necessary to achieve the desired tonal results. This is the same process whether the guitar is acoustic or electric. To me they are all acoustic until plugged in so my goal is always to bring out the best in each piece of wood. In this way the instrument pickups have a superior signal. The results are very musical guitars full of rich harmonic content and wonderful overtones. 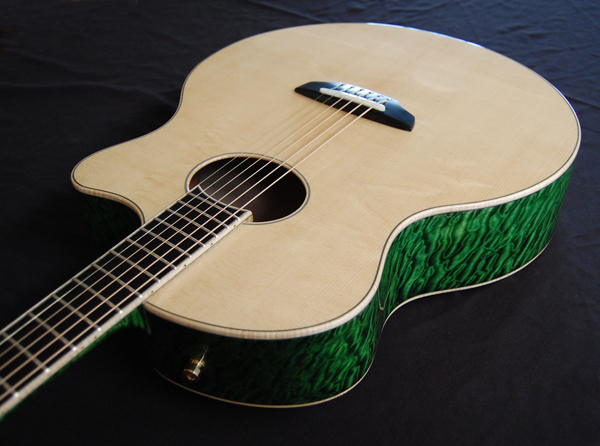 Every instrument is a unique project that gets individual attention every step of the way. Embellishments and personal details that stray from the norm are always encouraged. I thrive on new ideas and modern interpretations of classic elements. 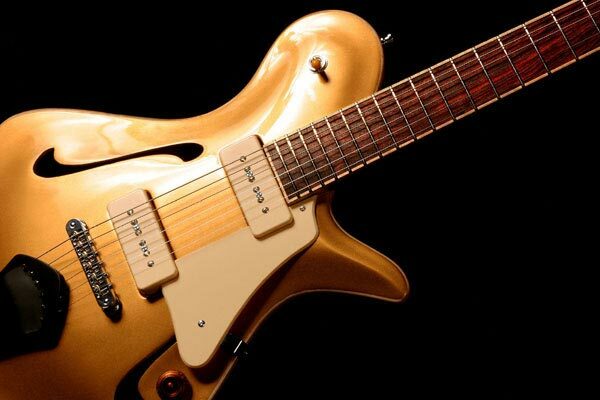 From morphing the goldtop concept into a new ergonomic form to distilling a new musical format into an intuitive new instrument these new designs often forge their own territory. If you have any ideas or questions please feel free to contact me. I always love to talk guitars and am up for whatever design challenges you want to throw my way. Enjoy your visit!